No age requirements. Swimmers will require a recommendation from a Splash! swim instructor to participate in the CSP program. Class options are available for attending once or twice a week or in conjunction with the Schroeder YMCA swim team. Currently (2018 Spring), CSP is held on Tuesdays 6:20pm-7:20pm and Wednesdays 6:20pm-7:20pm at Splash. There is no CSP on Saturdays. 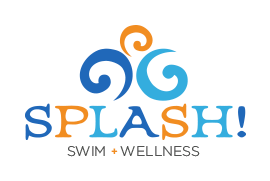 The CSP group will strive to echo the learning processes of a swim team, while still adhering to Splash’s fundamental goals of aquatic safety, physical fitness and a love of the water. CSP will be limited to six athletes who will meet once or twice weekly for an hour. The workouts will be comprised of technical discussions about form, videotaping for the athletes to view their own strokes and plenty of drills to maximize effectiveness in the water. We recommend the purchase of a snorkel for individual use in this class. Swim caps and goggles are required. Water bottles are encouraged. The goals of CSP include mastery of the four individual competitive swimming strokes (butterfly, backstroke, breaststroke and freestyle), proficiency with a variety of competitive turns (open, flip, bucket, crossover) and the groundwork understanding of the Rules of the Pool and terminology utilized by a swim team.